Operation Overhaul was featured in the “Get Crafty” section of ST Life! on 12th April 2013! Thanks Gill! 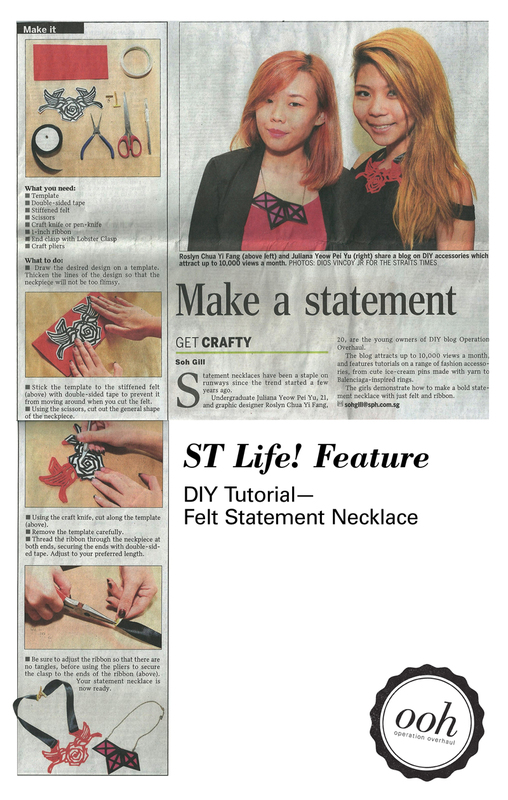 Find out how to make a Felt Statement Necklace in the article. If you’re interested to make the same necklace pictured in the feature, feel free to download and use the pattern below! You can also create your own patterns by simplifying an image to continuous lines (try not to have gaps!) and then thickening them so that it is easier to cut/ won’t be too flimsy. Remember to add slits to attach the ribbons!